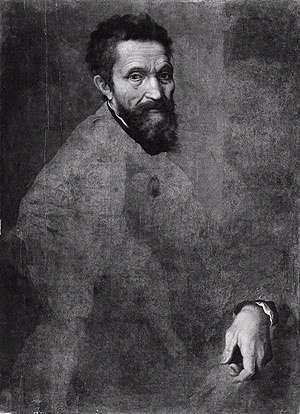 Michelangelo was an accomplished master of many arts: sculpture, painting, and architecture among them. But he always considered himself a sculptor above all. 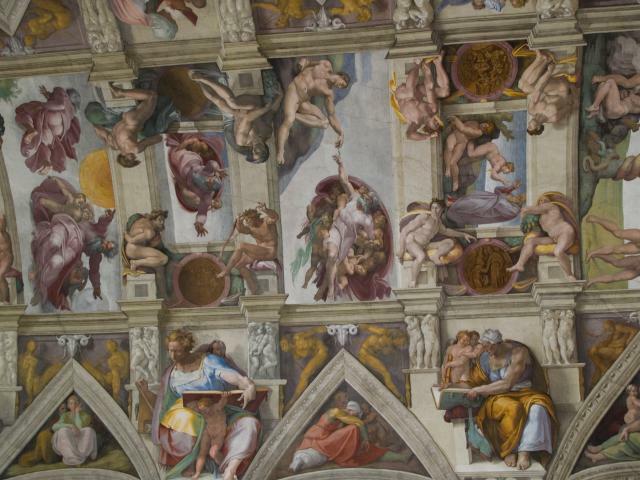 He viewed his achievements in other fields as secondary, yet he was approached by Pope Julius II to paint the ceiling of the Sistine Chapel in Vatican City. Painting was never Michelangelo’s primary trade, and he was not excited by the prospect of a four-year endeavor that required him to paint in the “fresco” style (that is, painting into wet plaster so that the colors remain part of the ceiling. It requires an artist to paint very quickly lest the plaster dry…). 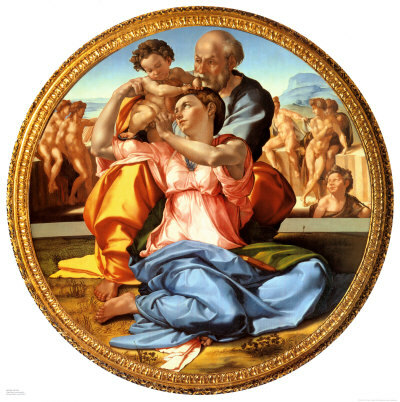 Michelangelo paints with a sculptural aesthetic. His paintings have the depth and three-dimensionality of sculpture. 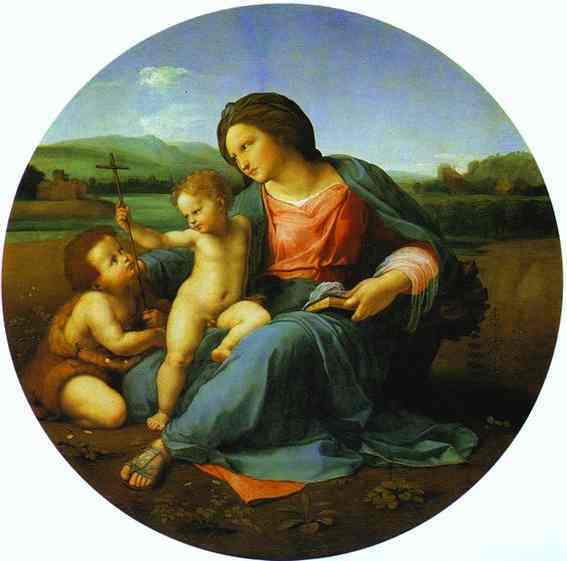 To see what I mean, take a look at Raphael’s rendering of The Madonna. Now look at Michelangelo’s painting of the same scene. Michelangelo paints sculptural forms. He carves figures out of the canvas with his paintbrush. This is something that lended itself well to the ceiling of the Sistine Chapel, which features sculptural and architectural forms painted into the ceiling. He’s taking the aesthetic of one art and applying it to the aesthetic of another. It’s just one facet of his genius that can be applied to other art forms as well. This entry was posted on Friday, July 25th, 2008 at 11:55 am and is filed under art, Creativity, Musings, Quote. You can follow any responses to this entry through the RSS 2.0 feed. You can leave a response, or trackback from your own site.